NRPA's Marketing and Communications Certificate was developed to develop basic skills for the park and recreation professional tasked with delivering messaging for their agency. The courses included in this certificate take you on a path toward developing your own strategic marketing and communications plan, applying material through an interactive worksheet that allows you to investigate case studies while also applying the concepts to your own context. By completing all four courses in this certificate, you should come away with a toolkit and a tangible plan that may be implemented at your agency or department to tell the park and recreation story. This course will provide you with an understanding of market research and analysis and the proper tools for conducting analysis in various contexts with an eye toward the common variables that affect marketing and communications. National Environmental Education Foundation speaker Ashley Turner will address topics such as, understanding environmental triggers, knowing when an asthma episode or aggravated symptoms are occurring, understanding asthma medication, and more in the webinar. As the spring and summer seasons transition, outdoor activities are kicking into high gear. But if a child has asthma, the feelings of chest tightness and shortness of breath can quickly turn a fun-filled activity into something less than enjoyable. No two cases of asthma are the same, so the best way to manage asthma is to be proactive and aware of the conditions that tend to cause an episode. You should know that asthma is a very manageable condition, but only if children and their guardians are diligent with their treatment and pay attention to their reactions to environmental triggers. National Recreation and Park Association (NRPA) members who interact with children during the warmer months should understand how to identify and aid a child in their management of pediatric asthma. This presentation is also designed to educate NRPA members on the prevalence and disparities of pediatric asthma in the United States. National Environmental Education Foundation speaker Ashley Turner will address topics such as, understanding environmental triggers, knowing when an asthma episode or aggravated symptoms are occurring, understanding asthma medication, and more in the webinar. This product provides access to all archived and future learning material related to the Great Urban Parks Campaign and Green Infrastructure initiative. This subscription provides you instant access to all previous and upcoming webinars related to this important campaign. Richard J. Dolesh joined NRPA in 2002 and serves as the Vice President of Strategic Initiatives. He is responsible for development and implementation of national policy and initiatives related to conservation, stewardship and parks. Rich worked 30 years in parks, outdoor recreation, and natural resource management at the local and state level in Maryland before coming to NRPA. His recent work includes leading NRPA's Parks Build Community initiative, coordinating the Parks for Mitigation demonstration projects, and working with the National Wildlife Federation to connect 10 million kids to nature and the outdoors over the next three years. Rich represents NRPA on a number of coalitions and advisory groups including the Sustainable Urban Forestry Coalition, the steering committee for Natural Play and Learning Area guidelines, and the Sustainable Sites Initiative (SITES). Rich is a frequent contributor to NRPA's Parks and Recreation Magazine, and has written numerous articles on parks and natural resources in publications including The Washington Post and National Geographic Magazine. Jenny Cox is a Program Specialist on the Conservation team at the National Recreation and Park Association. Jenny joined NRPA in 2016 and works on NRPA’s Great Urban Parks Campaign, promoting green stormwater infrastructure in parks. She also manages community engagement initiatives and leads NRPA’s Equity Advisory Panel. Prior to NRPA, Jenny worked at American Rivers assisting with restoration and green stormwater infrastructure projects, specifically in the Chesapeake Bay watershed. David Rouse is the Managing Director of Research and Advisory Services for the American Planning Association in Washington, DC. In this capacity he leads APA’s applied research programs, including the Planning Advisory Service and the three National Centers for Planning: Green Communities, Hazards Planning, and Planning and Community Health. David is a Fellow of the American Institute of Certified Planners and a registered landscape architect with over 30 years of experience in community planning and design. Senior Environmental Planner, Low Impact Development Center, Inc.
Emily Clifton, AICP is Senior Environmental Planner and Scientist for the Low Impact Development Center, a national research organization that focuses on sustainable stormwater management solutions for urban and developing areas. Emily has over 15 years of experience in green infrastructure management and leads the Low Impact Development Center’s efforts on green infrastructure planning. She has an M.S. in Environmental Science and a Master’s in Public Affairs from Indiana University. She also holds a B.A. in Business Administration and a B.A in Philosophy from Austin College. Emily provides leadership on design manuals, training, outreach efforts, research, and plan development and review for the Low Impact Development Center. As Conservation Program Manager Serda manages various programs at NRPA, including Wildlife Explorers. Serda has extensive experience as an environmental researcher, policy specialist, and educator with organizations such as the Earth Island Institute, Animal Welfare Institute, and Earthjustice. She was a 2015 Fulbright Fellow, holds an MS in Environmental Science and Policy from George Mason University and was selected in 2010 as an Emerging Wildlife Conservation Leader. Robert Goo works in the Office of Water at the Environmental Protection Agency. His primary focus is to promote the use of green infrastructure to manage runoff and protect and restore water resources. In this capacity he works with state and local governments, NGOs, academia, and industry to assess and evaluate best management practices for stormwater management and encourage their implementation in a cost effective manner. Robert also works on the development of voluntary codes and standards such Sustainable Sites, LEED, ASHRAE, and the National Green Building Standards. Dr. Na'Taki Osborne Jelks co-founded the West Atlanta Watershed Alliance (WAWA), an urban, community-based organization of Proctor, Utoy, and Sandy Creek Watershed residents in Northwest and Southwest Atlanta, GA who are overburdened with environmental stressors and pollution, but often underrepresented at environmental decision-making tables. WAWA was established as a result of community efforts to halt discriminatory wastewater treatment practices in West Atlanta, and the organization has grown to become an impactful force in community-centered sustainable development. In addition to her community leadership and activism, Dr. Jelks is a Visiting Assistant Professor of Environmental Health at Agnes Scott College in Decatur, Georgia. Paula Conolly, AICP, is committed to making green stormwater infrastructure work in communities across North America. She is the Director of the Green Infrastructure Leadership Exchange (Exchange), a peer learning network of municipalities, water utilities, and counties seeking to advance their green stormwater infrastructure programs. Prior to the Exchange, she led policy initiatives for Philadelphia’s renowned Green City, Clean Waters program, helping to change “business as usual” to implement over 30 acres of green stormwater infrastructure on vacant lands, parks, streets and private property. Ms. Conolly helped to spearhead a state-of-the art drinking water protection program for the City of Philadelphia, helping to raise over $3M to improve and protect the Schuylkill River Watershed. Prior to that, Paula consulted on public health and environmental initiatives at Booz Allen Hamilton. Paula is a graduate of the University of Notre Dame. Claire Robinson is the Founder and Managing Director of Amigos de los Rios “the Emerald Necklace Group", a non-profit developing parks and open space and a regional green infrastructure network throughout disadvantaged areas of Los Angeles County. Claire's multi-disciplinary background and approach has led to the unique success of Amigos in creating culturally relevant open space. With a background in cultural history and planning, and the teaching and practicing of art and architecture. She currently serves as member of the USDA' National Urban & Community Forestry Advisory Council, and on the USFS Community Collaborative to guide development of the San Gabriel National Monument Planning process. Paul Taylor is a Landscape Architect by training and currently is serving as the Chief of Capital Development & Planning with Baltimore City Recreation & Parks. A graduate of Queens University (Kingston) and the University of Toronto, Paul started his career in Parks in 1988 with the City of Mississauga – a suburban municipality of over 700,000 just west of Toronto, managing Park Development in the Community Services Department. He moved to Atlanta in 2005 where he assisted with the early planning of the Atlanta BeltLine and served as the Director of Park Design with the City of Atlanta until 2014. Ms. Sage joined the Pittsburgh Parks Conservancy in May 2013 as the Director of Community Projects. She is responsible for working collaboratively with community partners on new and ongoing projects within the parks, providing project management and serving as a liaison between PPC and project stakeholders. Additionally, Ms. Sage manages government affairs, foundation relations, and community engagement opportunities, focusing on expanding ways that park volunteers, patrons and supporters can further grow the PPC mission and continue to benefit from the parks in their lives. Ruth Ayn Hocker, P.E., D. WRE is the Stormwater Program Manager for the City of Lancaster, PA. She holds a bachelor degree in civil engineering technology from the Pennsylvania College of Technology and a master’s degree in environmental engineering from the Pennsylvania State University. She has a broad multi-disciplinary background including transportation design, low impact development, sustainable stormwater management design, stormwater management program development and municipal green infrastructure implementation. She currently oversees the operations of Lancaster City’s Stormwater and Wastewater Collections Programs. Jill Bankston is the Chief of Project Development for the County of San Diego Department of Parks and Recreation. She manages a team of engineers, landscape architects and park professionals in the planning, design, and construction of new parks and park amenities. Jill received her BS in Civil Engineering from the University of Virginia and is a registered Professional Engineer in the state of California. Matt Scharver is the Manager of Watershed Programs for the Northeast Ohio Regional Sewer District, coordinating various water quality programs with Sewer District member communities, including operation and maintenance of green infrastructure implementation under the Sewer District’s Project Clean Lake consent decree program to control combined sewer overflows in the greater Cleveland area. Additionally, he facilitates implementation of the Sewer District’s Regional Stormwater Management Program. He brings 17 years of field experience and stormwater management to the Sewer District and is both a Certified Professional in Erosion & Sediment Control (CPESC) and Certified Erosion, Sediment & Storm Water Inspector (CESSWI). Travis Miller is the Regional Planning Manager for the Ohio Kentucky Indiana Regional Council of Governments (OKI), the Metropolitan Planning Organization for the greater Cincinnati region. Miller manages various agency programs and leads regional environmental planning efforts. Miller is a landscape architect with a Master of Community Planning from the University of Cincinnati and a Bachelor of Science in Landscape Architecture from the Ohio State University. Miller also serves as an adjunct instructor for the University of Cincinnati School of Planning teaching courses on transportation and energy planning. Irene is involved in city wide landscape issues and policies involving public facilities and public health and wellness. Currently she manages the Limited Income Rainwater Harvesting and the Neighborhood Scale Stormwater Harvesting Programs. As a program that incorporates One Water goals of managing all water resources, multi-benefit goals from rainwater capture include improving community livability as it impacts human and environmental health; addressing urban heat island, water resources, nexus between water and energy and issues of climate change and social/environmental justice. As a member of the Green Infrastructure Leadership Network, I was on a team of 3 other cities that recently collaborated to develop a Green Infrastructure and Health Manual. Laura Connelly is a project manager at the Parks & People Foundation, a non-profit in Baltimore City whose mission is to unite Baltimore through parks. She and her team work with stakeholders to deliver high-quality new parks and park improvements to Baltimore neighborhoods from engagement, visioning, and design, through permitting, implementation, and continuing sustainability. Prior to work on the parks program, she managed a multi-million dollar suite of urban stormwater retrofit/green infrastructure projects to improve water quality and provide uplift to City residents in disinvested neighborhoods. Before joining Parks & People, Laura worked at the Maryland Department of Natural Resources as a stream biologist and then a planner in restoration financing and policy on the Chesapeake and Atlantic Coastal Bays Trust Fund. In addition to managing project design, permitting, and implementation, Laura works with public, private, and civic partners on policy and planning efforts to leverage social, economic, and environmental outcomes. Laura holds a B.S. in Biology from Washington College and an M.S. in Environmental Sciences and Policy from Johns Hopkins University. There has been a lot of news and political attention currently being paid to a steady rise in American’s opioid use to what is now behind defined as an “Opioid Crisis” by political leaders. Stemming from the June 2018 Parks & Recreation article, this webinar will discuss current national research defining the extent of opioid use and park and recreation professionals experiences with this national trend as it impacts their front line efforts. Practical solutions will be shared along with suggested partnerships to help your agency get started in addressing this topic. Nick Pirelli is a professional educator and community leader who helps individuals and organizations discover their potential. He serves as a professor in both the Communications and Leisure Studies departments at Bridgewater State University. He has held positions as a Campus Recreation Director, Deputy Director of Parks and Recreation, and mostly recently as Assistant Dean at Mount Ida College. While as Deputy Director of Parks and Recreation for the Town of Canton, Nick served as Chairman of the Canton Alliance Against Substance Abuse. He is a Certified Park and Recreation Professional and a Certified Emergency Manager. He is a member of the Association for Experiential Education and serves on the executive board of the Massachusetts Recreation and Park Association. Nick holds a Master’s degree in Management, as well as a Bachelor’s degree in Organizational Communication, which were both obtained from Bridgewater State University. Shelly Strasser is the Director for the West Allis-West Milwaukee Recreation and Community Services Department located in the Milwaukee area in Wisconsin. Their community has been affected by the Heroin and Opioid Crisis and has taken an active role in the community and with department staff, to implement strategies of support. Commander Shannon (‘Kinzie) Lee, MPH serves in the National Center for Injury Prevention and Control’s Office of Policy and Partnerships as the Center’s Lead for Strategic Partnerships. She received a B.S. degree in Biology from Truman State University at Kirksville, Missouri and a MPH from the University of Tennessee-Knoxville. Commander Lee has 15 years of experience in public health, beginning her career in occupational health, food inspection and disease prevention as a Public Health Officer in the Air Force at Offutt Air Force Base (AFB), Nebraska and Edwards AFB, California. She originally joined the CDC in the Office of the Director’s Division of Issues Management and Executive Secretariat and moved to the National Center on Birth Defects and Developmental Disabilities (NCBDDD) in 2010. The last three years she served as the Deputy, Associate Director for Policy for NCBDDD. ‘Kinzie excels in amplifying organizational processes—in her ten years at CDC she has re-designed/designed not only center-wide systems, but agency wide systems. She also has a strong background in strategic partnership development and engagement planning, gained from years of congressional and partner interactions. In an effort to continue to grow her personal interest in developing leaders and serving others she often uses human-centered design methods to help others develop solutions that both serve people and creatively accomplish goals. Atlanta’s parks are undergoing a remarkable transformation that is attracting nationwide attention. This Premier Webinar will bring together key players from the public and private sector who have been leading the development of this new vision for Atlanta. They will provide insight on how they engaged the support of elected officials and key city decision-makers and built upon an authentic community participation process. Their insights on what made their projects work, and what barriers they had to overcome will be invaluable to anyone who is working to develop a vision and implement innovative park projects and partnerships. This webinar will be a unique and engaging experience that will couple a pre-recorded panel discussion with an active chat experience in which the panelists will interactively engage with webinar participants to discuss the key takeaways of how their parks are transforming Atlanta. Commissioner Phuong joined the City of Atlanta in 2010. Prior to her appointment as Commissioner in 2015, Amy served as Chief Service Officer for the City. As a double-graduate of Georgia Tech, Amy received her Masters in Business Administration, with a concentration in Technology, and Bachelors of Science in International Affairs, with Honors, and a Minor in Economics. Under Commissioner Phuong's leadership, the City of Atlanta Department of Parks and Recreation has initiated numerous generational projects, including the Westside Park at Bellwood Quarry, Rodney Cook Sr. Park, the Piedmont Park Expansion, the Grant Park Gateway Project, and the recently completed Martin Luther King, Jr. Recreation and Aquatic Center. As the President and CEO, Mark Banta provides strategic direction and leadership for the charitable nonprofit to reach its vision of making Piedmont Park a world class park. He leads the effort to enhance the Park through robust amenities, raising funds, and strengthening daily programs and operations. Prior to his role at Piedmont Park, Banta launched Klyde Warren Park as president of the Woodall Rogers Park Foundation and served as the general manager of Centennial Olympic Park. Michael joined Park Pride in 2013 as Executive Director, managing staff and programs, supporting the board, and leading fundraising, public relations, and program development efforts. He joined Park Pride from Southface, where he served as the organization’s first Chief Operating Officer. Michael has also held senior roles for nonprofits the Clean Air Campaign and the Georgia Conservancy. He earned his graduate degree in nonprofit management from Georgia State’s Andrew Young School of Policy Studies. He is a graduate of the Regional Leadership Institute and the Institute for Georgia Environmental Leadership, and was named among the "50 Influential Nonprofit Leaders" by the Atlanta Business Chronicle in 2016 and 2017. Want to implement green stormwater infrastructure as a climate resiliency strategy in your community? 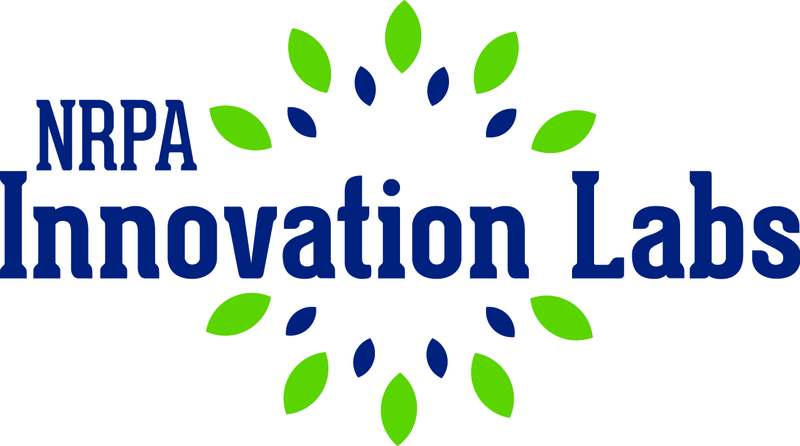 Join NRPA to learn more about this exciting grant opportunity! Improve environmental quality including: enhanced water quality, increased climate resiliency through reduced flooding, improved ability of the site to hold and retain stormwater, improved and increased green space and wildlife habitat. Increase access to high quality park and recreation space within underserved communities, and increased access to related recreation, environmental education and green job opportunities. Create an engage community empowered to improve local environmental quality through green infrastructure solutions. The webinar will discuss goals of the grant, eligibility, application deadlines and answer any questions you may have! Note: This grant opportunity is a part of the Great Urban Parks Campaign Learning Subscription. 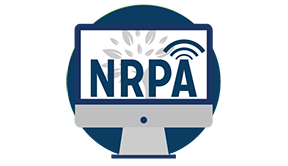 If you do not wish to remain subscribed to content released by this campaign, please email onlinelearning@nrpa.org to unsubscribe. Explore how to take advantage of cooperative purchasing savings. Learn how your organization can be more strategic in its purchasing process with best practices and some parks and recreation success stories. Is your organization getting the most value from your park and recreation spend? Learn how to take advantage of the savings and benefits of cooperative purchasing. Hear from Jennifer Sulentic, Senior Program Manager with U.S. Communities, to learn how your organization can be more strategic in its purchasing process to help cut costs and save time. Jennifer will provide best practices and some parks and recreation success stories on how other agencies utilize cooperative purchasing to shorten project timelines and save valuable dollars with top-quality suppliers. Register today to help your agency start saving! Jessica leads the Dallas Regional Chamber's talent attraction initiative, Say Yes to Dallas, marketing the Dallas Region to attract and retain talented workers to start or continue a career in the Dallas Region. volunteer boards and commissions, including the Virginia Recreation and Park Society. with a network Young Professional Award. Pete Eshelman is an outdoors guy. He developed roanokeoutside.com, founded the Blue Ridge Marathon – America’s Toughest Road Marathon, Hill Week, and the GO Outside Festival to help build brand recognition for outdoor recreation and increase recognition of the region as a place to live, work, and invest. His work has changed the region’s community narrative to one that places a high value on the outdoors. Andy Shapiro heads the firm's location advisory practice from its San Francisco Bay Area office, helping clients translate their business objectives and strategic vision into rational, balanced location decisions. His primary responsibilities include site selection, feasibility economic impact analysis and market analysis. What makes a good dog park great? This webinar brings together top designers, landscape architects, and managers of top-rated dog parks to explore innovative ways you can make your dog parks exciting and enjoyable for both dogs and people. Creative ideas and innovative designs do not necessarily mean greater expense, and thoughtful design can result in exciting dog parks that appeal to dogs as well as people. This webinar will cover innovative trends in design, management, and maintenance of public dog parks and will include information on design and management of larger off-leash parks, water features for play, best practices for conflict resolution, agility and exercise features, best practices for environmental management, and more. If you manage public dog parks you will not want to miss this exciting and informative webinar that provides insights and expert knowledge on how you can make your best dog parks even better. Ken Smith is one of the best-known of a generation of landscape architects equally at home in the worlds of art, architecture, and urbanism. Trained in both design and the fine arts, he explores the relationship between art, contemporary culture, and landscape. His practice, Ken Smith Workshop, was established in 1992 and is based in New York City. Inés is responsible for promoting the value of recreation for people of all ages and abilities. She provides continuing educational opportunities, professional development, and research that supports recreation and play while generating partnerships and alliances in the field. She joined the PlayCore team in August 2013 after obtaining her PhD in Parks, Recreation and Tourism from NC State University. Before joining PlayCore, she was an instructor at NC State University in the Parks, Recreation and Tourism Management Department. In addition, she has experience in event planning, program management, research, and national presentations.